Methodism thrived in America thanks to the First and Second Great Awakenings beginning in the 1700s. 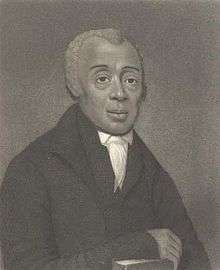 Various African-American denominations were formed during this period, including the African Methodist Episcopal Church. In the early 20th century, many of the splintered Methodist groups joined together to form The Methodist Church (USA). Another merger in 1968 resulted in the formation of United Methodist Church from the Evangelical United Brethren (EUB) and the Methodist Church. People are all, by nature, "dead in sin," and, consequently, "children of wrath." They are "justified by faith alone." Very quickly, these clergymen became popular, attracting large congregations. The nickname students had used against the Wesleys was revived; they and their followers became known as Methodists. In 1766, Reverend Laurence Coughlan arrived in Newfoundland and opened a school at Black Head in Conception Bay. In the late 1760s, two Methodist lay preachers emigrated to America and formed societies. Philip Embury began the work in New York at the instigation of fellow Irish Methodist Barbara Heck. Soon, Captain Webb from the British Army aided him. He formed a society in Philadelphia and traveled along the coast. 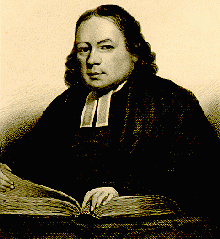 In 1770, two authorized Methodist preachers, Richard Boardman and Joseph Pilmoor, arrived from the British Connexion. They were immediately preceded by the unauthorized Robert Williams who quietly set about supporting himself by publishing American editions of Wesley's hymnbooks without obtaining permission to do so. These men were soon followed by others, including Francis Asbury. Asbury reorganized the mid-Atlantic work in accordance with the Wesleyan model. Internal conflict characterized this period. Missionaries displaced most of the local preachers and irritated many of the leading lay members. During the American Revolution, "the mid-Atlantic work" (as Wesley called it) diminished, and, by 1778, the work was reduced to one circuit. Asbury refused to leave. He remained in Delaware during this period. Up until this time, with the exception of Strawbridge, none of the missionaries or American preachers was ordained. Consequently, the Methodist people received the sacraments at the hands of ministers from established Anglican churches. Most of the Anglican priests were Loyalists who fled to England, New York or Canada during the war. In the absence of Anglican ordination, a group of native preachers ordained themselves. This caused a split between the Asbury faction and the southern preachers. Asbury mediated the crisis by convincing the southern preachers to wait for Wesley's response to the sacramental crisis. That response came in 1784. John Wesley, the founder of Methodism, came to believe that the New Testament evidence did not leave the power of ordination to the priesthood in the hands of bishops but that other priests could do ordination. In 1784, he ordained preachers for Scotland and England and America, with power to administer the sacraments (this was a major reason for Methodism's final split from the Church of England after Wesley's death). At that time, Wesley sent the Rev. Dr. Thomas Coke to America to form an independent American Methodist church. 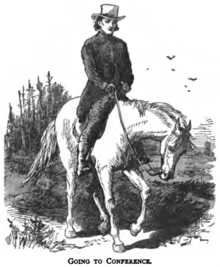 The native circuit riders met in late December. Coke had orders to ordain Asbury as a joint superintendent of the new church. However, Asbury turned to the assembled conference and said he would not accept it unless the preachers voted him into that office. This was done, and from that moment forward, the general superintendents received their authority from the conference. Later, Coke convinced the general conference that he and Asbury were bishops and added the title to the discipline. It caused a great deal of controversy. Wesley did not approve of 'bishops' who had not been ordained by bishops. 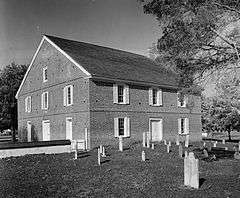 The first annual conference of the newly organized Methodist Episcopal Church was held at Green Hill House near Louisburg, Franklin County, North Carolina, April 19, 1785. Four annual conferences of the Methodist Episcopal Church were held at the house of Green Hill and Hill was their host. The First Great Awakening was a religious movement among colonials in the 1730s and 1740s. The English Calvinist Methodist preacher George Whitefield played a major role, traveling up and down the colonies and preaching in a dramatic and emotional style, accepting everyone as his audience. the number of local Methodist churches (blue) grew rapidly in all parts of the country; it was the largest denomination by 1820. The Second Great Awakening was a nationwide wave of revivals, from 1790 to 1840. In New England, the renewed interest in religion inspired a wave of social activism among Yankees; Methodism grew rapidly and established several colleges, notably Boston University. In the "burned over district" of western New York, the spirit of revival burned brightly. Methodism saw the emergence of a Holiness movement. In the west, especially at Cane Ridge, Kentucky and in Tennessee, the revival strengthened the Methodists and the Baptists. The Methodists appealed especially to the urban middle class. Many Northerners had only recently become religious and religion was a powerful force in their lives. 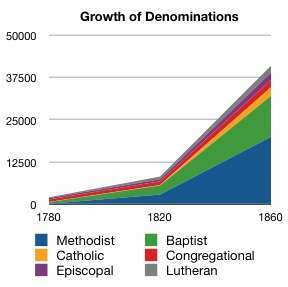 No denomination was more active in supporting the Union than the Methodist Episcopal Church. Carwardine argues that for many Methodists, the victory of Lincoln in 1860 heralded the arrival of the kingdom of God in America. They were moved into action by a vision of freedom for slaves, freedom from the terror unleashed on godly abolitionists, release from the Slave Power's evil grip on the state, and a new direction for the Union. Methodists formed a major element of the popular support for the Radical Republicans with their hard line toward the white South. Dissident Methodists left the church. The United Methodist Church was formed in 1968 as a result of a merger between the Evangelical United Brethren (EUB) and The Methodist Church (USA). The former church had resulted from mergers of several groups of German Methodist heritage. There was no longer any need or desire to worship in the German language. 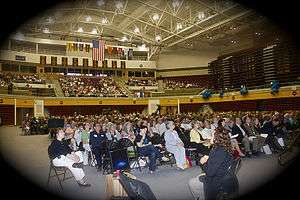 The merged church had approximately 9 million members as of the late 1990s. While United Methodist Church in America membership has been declining, associated groups in developing countries are growing rapidly. The holiness revival was primarily among people of Methodist persuasion , who felt that the church had once again become apathetic, losing the Wesleyan zeal. Some important events of this revival were the writings of Phoebe Palmer during the mid-19th century, the establishment of the first of many holiness camp meetings at Vineland, New Jersey in 1867, and the founding of Asbury College (1890), and other similar institutions in the US around the turn of the 20th century. ↑ Wesley, John. A Short History of Methodism. Online: http://gbgm-umc.org/umw/Wesley/shorthistory.stm. Accessed May 1, 2009. ↑ Religion in Newfoundland and Labrador: Newfoundland and Labrador Heritage. Heritage.nf.ca. Retrieved on 2011-12-11. ↑ John Baxton Flowers, III; Catherine W. Cockshutt (April 1975). "Green Hill House" (pdf). National Register of Historic Places - Nomination and Inventory. North Carolina State Historic Preservation Office. Retrieved 2014-11-01. ↑ Russell E. Richey; Kenneth E. Rowe; Jean Miller Schmidt (2012). American Methodism: A Compact History. Abingdon Press. p. 35. ↑ Richard G. Kyle (2006). Evangelicalism: An Americanized Christianity. Transaction Publishers. p. 12. ↑ Methodist World Peace Commission administered Civilian Public Service units at Duke University Hospital in Durham, North Carolina and Cherokee State (Psychiatric) Hospital in Cherokee, Iowa (list of CPS Camps). ↑ World Growth of the United Methodist Church in Comparative Perspective: A Brief Statistical Analysis | Robert. Methodist Review. Retrieved on 2011-12-11. ↑ The Doctrines and Discipline of the African Methodist Episcopal Zion Church, with an Appendix; Revised by the General Conference, Atlanta, Georgia 16–22 July 2008. Charlotte, NC: A.M.E. Zion Publishing House, 2008. ¶2, ¶3, ¶656. ↑ "Quick Facts". The United Methodist Church. Retrieved 1 August 2007. ↑ "Mission". Commission on Pan-Methodist Cooperation & Union. Retrieved 1 August 2007. 1 2 3 4 5 6 7 8 Camerona, Richard M. Methodism and Society. Vol. 1–3. Nashville, TN: Abingdon Press, 1961. Print. 1 2 3 Agnew, Theodore L. The History of American Methodism: in three volumes. Volumes 1–3. Nashville, TN: Abingdon Press, 1964. Print. Cone, James. "God Our Father, Christ Our Redeemer, Man Our Brother: A Theological Interpretation of the AME Church," AME Church Review, vol. 106, no. 341 (1991). Heatwole, Charles. "A geography of the African Methodist Episcopal Zion Church." Southeastern Geographer (1986) 26#1 pp: 1-11. Mathews, Donald G. Religion in the Old South University of Chicago Press, 1977. "The American Methodism Project". archive.org. Partnership between the United Methodist-related seminary libraries, the Internet Archive, the United Methodist Commission on Archives and History, and the Methodist Librarians Fellowship. External link in |publisher= (help) Almost 4,000 public domain publications available for download or reading online. Young, David; et al. (1860). The Methodist Almanac: 1861. The Asbury Triptych Series: book series on Francis Asbury and the Methodist movement in England and in America.